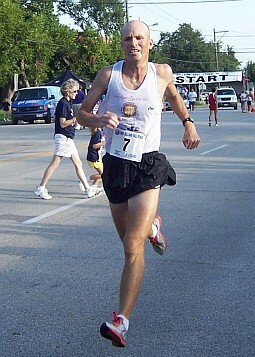 Brett Hervat is the Track and Cross Country Coach at Bellaire High School. 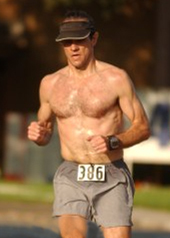 He has over 23 years experience as a high school running coach as well as numerous awards for running. He is certified CPR and AED trained. Will Henderson is one of founding members of Will's Hills and has been coaching for over 15 years. He is also CPR and AED trained. He has been involved in the running community for well over 24 years and has over 80 Marathons as well as 100's of other races to his credit. Lucas Burgoyne - 3 Time 2012 National Champion 3000m, 1500m, 800m. 2 Time 2011 National Champion 1500m, 4:56; 800m, 2:21. 2011 Sports Illustrated Sports Kid of the Year Finalist. Thank You to the many students and coaches and parents that participated in our 2018 Summer Program. Good luck in your Cross Country/Track Seasons. We look forward to running with you again in 2019. So you want to be a better athlete, run faster, get stronger? By working out this Summer with a group of athletic young adults like yourself, you will not only get faster but also become less prone to injury. Will's Hills High School Program can provide the foundation for your success! Our main objective is to help you improve your fitness level; whether your sport involves short bursts of speed (track, football, lacrosse, soccer, etc.) or longer steady pace running (cross country). Houston Summers' are hot and grueling; without a structured plan and a positive peer group, it's easy to let yourself get out of shape. Then, in August, you have to start all over again. It takes many hot and frustrating weeks to get back to your previous level of fitness, urrrgg! Will's Hills is your partner in building and maintaining a solid running foundation with a variety of workouts. If you are looking to get not only faster, but stronger too, this is the place to run during the summer. We help you develop stamina, strength and speed; encouraging not only running fitness but total body fitness. Will's Hills has a lightly competitive environment, that uses hill and speed work, tempo runs, repeats, distance training, plyometrics and calisthenics to help you reach your fitness goals. Workouts also include push-ups, sit-ups, crunches, stretching and more. The complete workout usually takes a bit over 1 hour. Our job is to help you get in shape and have fun too. Download the Registration Application below and sign up today. If you are under 18 years of age one of your parents must sign the waiver form too.